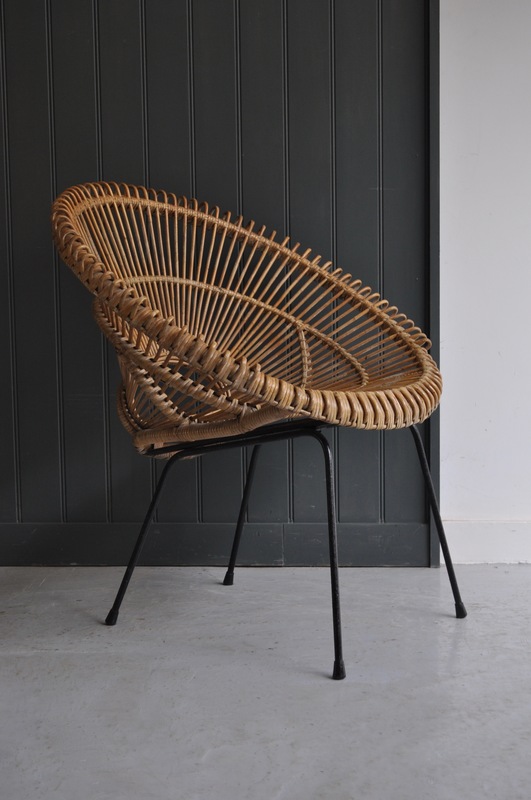 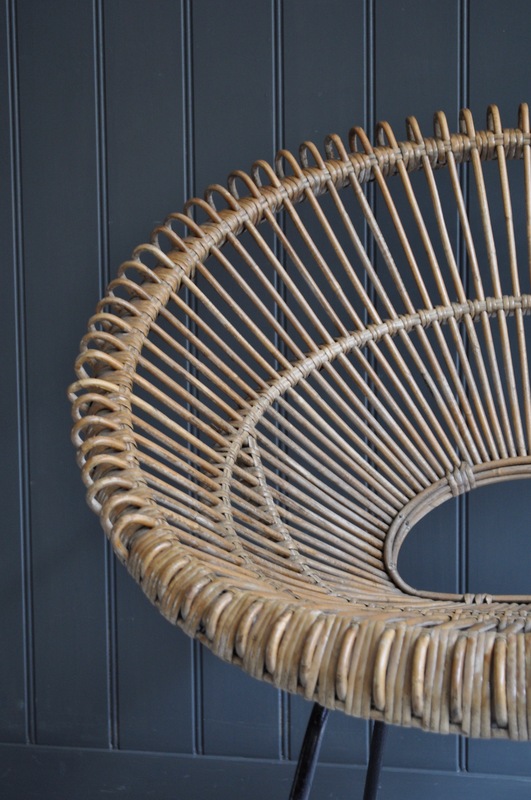 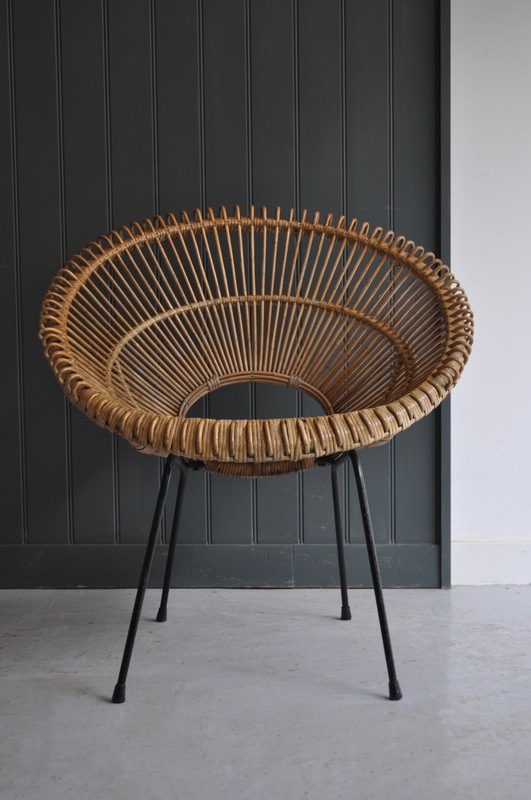 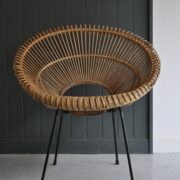 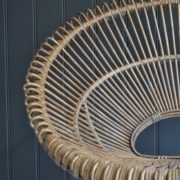 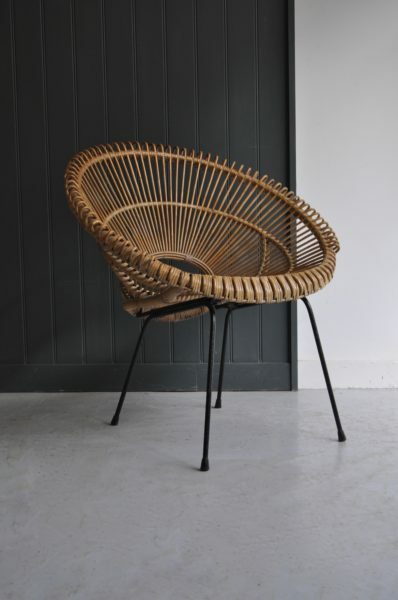 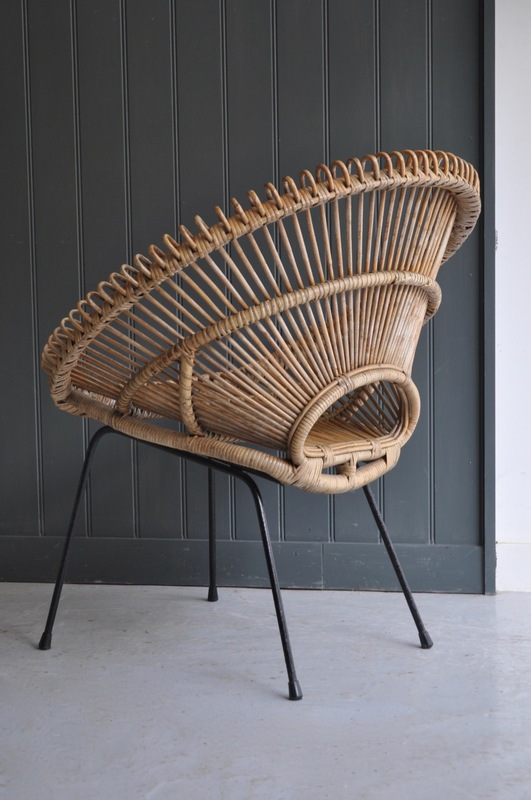 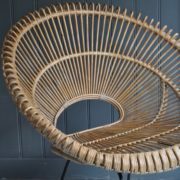 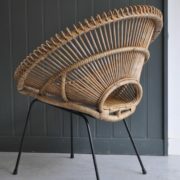 Striking wicker chair by Franco Albini with a beautiful form. 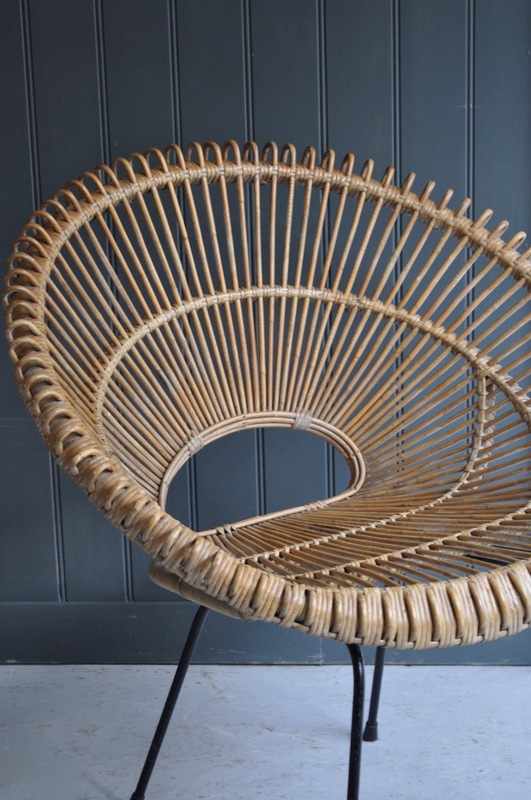 Good condition to the cane and black rod legs with just light wear consistent with age. 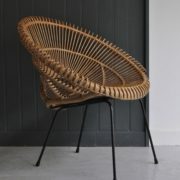 Two currently available, price is per chair, and happy to sell individually.